Some people object that “If Islam is a true religion of God, then why doesn’t it help mankind and promote peace and love?” Islam states that service to humanity is a part of faith. Muslims should be actively engaged in social welfare and in meeting the medical and educational needs, not only for Muslims, but also for all the communities where they reside. In this verse, Muslims have been enjoined by God to serve mankind and promote goodness. If they fail to achieve this, then they can not state that they are the “best people”. After all, a faith which is insensitive to the suffering of other human beings and is not inclined to serve the cause of humanity cannot be described as a good faith. But Islam teaches that Muslims must be always ready to serve mankind and have love and kindness for all of God’s creation. The Holy Quran states in Chapter 4:37: And worship Allah and associate naught with Him and show kindness to parents, and to kindred, and orphans, and the needy, and to the neighbour that is a kinsman and the neighbour that is a stranger, and the companion by your side,and the wayfarer, and those whom your right hand possess (employees). Surely, Allah loves not the proud and the boastful. In this verse, Allah very beautifully guides the Muslims to discharge their duties towards all of society. We should display kindness to everyone whether they are kind to you or not. In this way by following this teaching you can create peace, love and harmony in the society. The Ahmadiyya Muslim Community has opened many medical clinics and hospitals that offer free medical assistance. 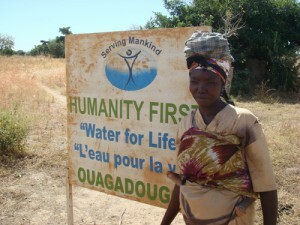 In Africa these efforts have serve the local people for decades. Likewise, the Community has launched several social projects to help developing countries in Africa and Asia, and assist the victims of wars and natural disasters wherever they occur. It has set up its own charity – Humanity First which is devoted to promote and safeguard the preservation of human life and dignity. It is a non-political, non-sectarian international relief and development agency. Furthermore, the Ahmadiyya Muslim Community regularly organises charity marathon walks to assist a variety of UK charities including Save the Children, Imperial Cancer Research and the British Heart Foundation. This shows that the teachings of Islam strives to always serve humanity and promote peace and love.